Next to the cluttered desk in my office, I keep a small collection of manila folders labeled with the names of destinations I would like to write about one day. Inside each folder are scraps of paperbar napkins covered in semi-legible hieroglyphics and yellowed newspaper clippings pertaining to a particular place. In the folder marked ALASKA there's a piece of hotel stationery on which I scribbled something an Alaskan friend once told me. Three basic types of people live in Alaska, he said. There are the Native Alaskans, who've been there since time immemorial. There are people who have come north running toward something, usually a chance to do something unpleasant to make a lot of money quickly, such as gutting fish twelve hours a day or operating a welding torch in minus-forty-degree temperatures. And there are those who are running away from something, like a bad marriage or fluoridated water. Tip of the Iceberg is one of the better travelogues I've read in recent years. 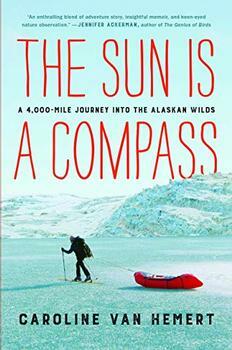 It vibrantly conveys Alaska's sights and describes Adams' own encounters there with insight and humor. I highly recommended the book, especially for armchair travelers and those interested in the history and nature of this unique land. (Reviewed by Kim Kovacs). Tourists will certainly enjoy reading about both the past and the present, and the breezy, self-deprecating tone makes for an obvious vacation diversion. Recommended for general readers interested in Alaska's environment and history. Simultaneously uplifting, inspiring, and dispiriting. Starred Review. 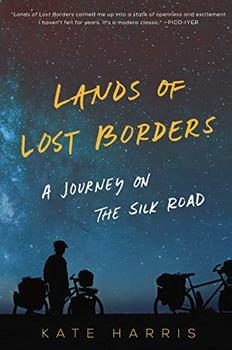 Adams gives readers an eye-opening look at the past and present history of a fascinating region. Whether you've already fallen in love with Alaska, or simply intend to in the future, Tip of the Iceberg was written for you. Mark Adams is an adventurous traveler's ideal guide to the breathtaking natural history - and colorful human history - of one of America's most fascinating corners. With Tip of the Iceberg, Mark Adams gave me, in spades, what I always hope to find in a book: the chance to effortlessly learn something extraordinary. I was constantly laughing, shaking my head in astonishment, and trying to slow down so I wouldn't finish it too fast. Some of my favorite people show up in this book, from John Muir to John Burroughs, but Adams himself may be the most unforgettable character. Tip of the Iceberg radiates a warmth we don't usually associate with up north. Adams finds nuggets of gold everywhere, and spins a story as expansive as Alaska itself. In Tip of the Iceberg, author Mark Adams sets out to follow in the footsteps of Edward Harriman's 1899 expedition to Alaska. Harriman's expedition is remembered for the important scientific findings gathered by the more than thirty scientists, artists and writers who accompanied him, but for Harriman himself, the focus was primarily on hunting bear. He eventually bagged his prize – a female Kodiak bear on Kodiak Island, much to the disgust of fellow traveler John Muir.